Not every baby magically figures out sleep on their own. Really, they sometimes just don’t. If you are suffering the effects of staying up all night with a sleepless baby, you are not alone. This Guest Post by Christine McCutcheon is worth the read. 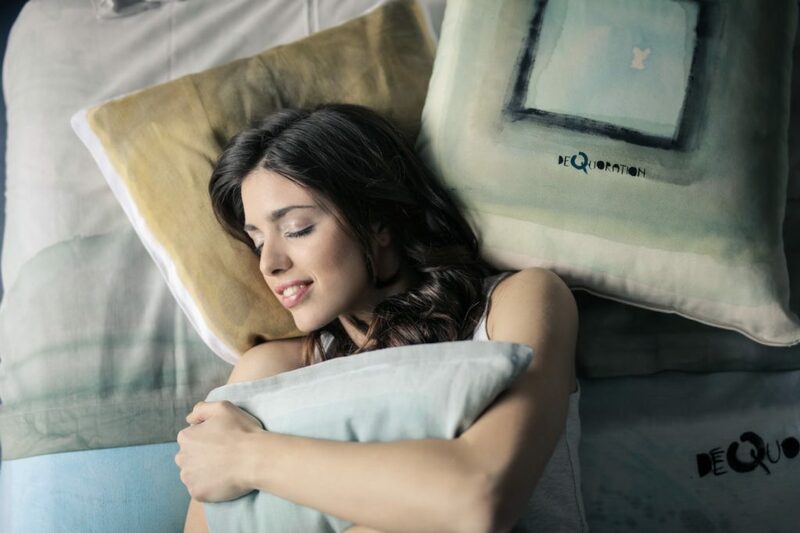 As a sleep consultant, she helps parents like you every single day to achieve restful nights for the whole family. Hiring a sleep consultant is not about what you’ve got to lose, but how much there is to gain! 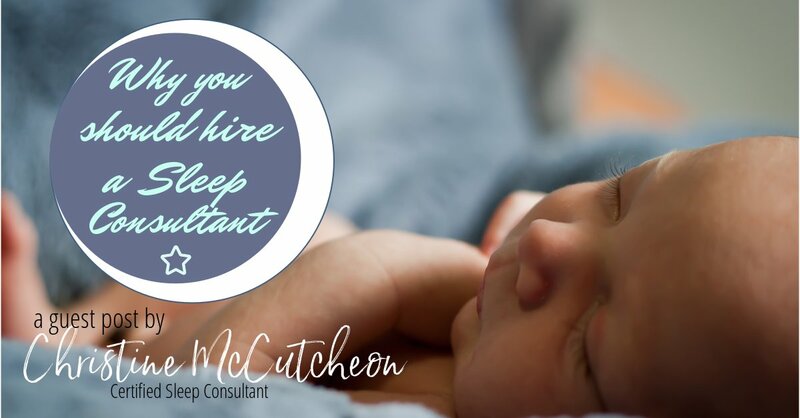 What Can Hiring a Sleep Consultant Do For Your Family? Have you ever considered hiring a sleep expert to help with your child’s sleep struggles? Have you hesitated because you’re not sure if the money spent will be worth it? First let’s talk about what sleep training means. I want to address the myth that sleep training is letting your baby cry-it-out (CIO). I do not define sleep training as CIO at all. I tell my clients that crying can be part of the process, but to remember that crying is our baby’s way of communicating. Us as humans resist change. When we change our little ones sleep habits we are rocking their tiny world, and this leads to protest. So yes there can be crying, but this is MUCH different than letting your baby cry-it-out. The true definition of a sleep-trained child is twofold; 1. They can fall asleep on their own for both bedtime and naptime. 2. They can put themselves back to sleep when they wake through the night. In the beginning your child will likely protest- but typically you will see results in 3-4 nights! This is a small price to pay to have your baby sleeping peacefully throughout the night. 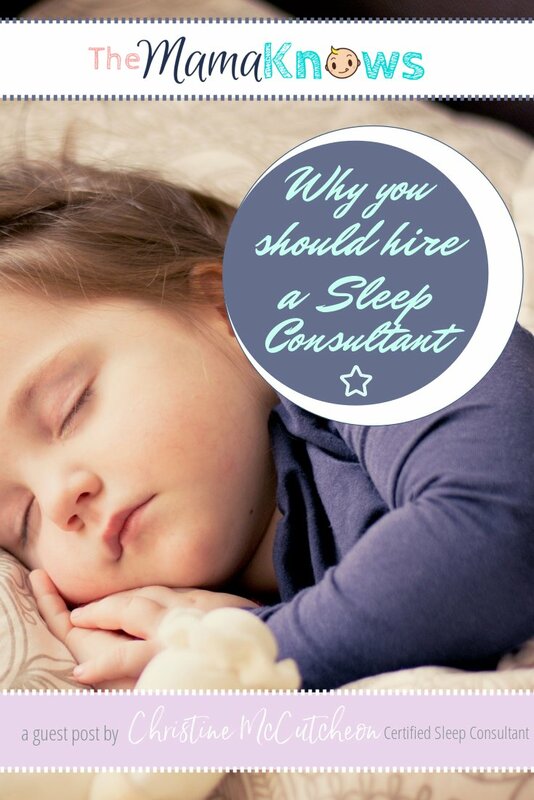 Now that we’ve got that out of the way, let’s go over the top reasons why a family will hire a sleep consultant. You read that right. I often come across parents who have spent hundreds of dollars on new beds, fancy sheets, or the newest gimmick that guarantees quiet nights. It breaks my heart hearing how these exhausted parents have spent their hard earned cash on empty promises. We are all trying to do right by our children, but these “quick fixes” won’t get your children to sleep! The money spent on a professional to provide you the resources for lasting results is often a one-time commitment. My clients often report back saying it was the best money they have ever spent on their family’s well-being, and the only regret is that they didn’t do it sooner. There are thousands of parenting books out there designated to sleep. Do you have time to read them all? Each book has a different opinion and a different approach. How do you figure it all out? No two babies are the same. Books can only take you so far without knowing the exact situation you are in with your child. A sleep consultant creates a personalized step-by-step plan to cut through the BS and get your family sleeping well right now. Let’s face it. Dealing with a toddler who fights every bedtime, or an infant who won’t sleep for longer then a couple hours at a time can be frustrating. Add our own sleep deprivation on top of it and it can be downright unbearable. Did you know that sleep struggles are the number one contributor to developing post partum depression or anxiety? That’s a pretty scary stat. Take comfort in knowing that there are solutions out there for every situation and a sleep consultant can show you the way. You’ve probably been seeing the importance of sleep making the headlines recently. Studies are now showing that sleep is as important to your health as is eating right and working out. Our children’s health is most at stake and parents are beginning to take notice. Our babies need adequate rest to develop mentally, socially and physically. Think about how the average one year old needs 13-15 hours of sleep a day. Adults need 7-9 hours. That means your little one-year-old requires twice the amount of sleep that you’re getting. So if you’re feeling exhausted because your baby is up all night, imagine how tired your sweet babe is! Hiring a sleep expert to help with your child’s sleep struggles is no different then hiring a professional in any other area of your life. Would you read a book on how to fix your transmission? Would you ask a friend on how to fix your furnace? I know I wouldn’t. Hiring a sleep consultant to fix your family’s sleep is the exact same idea. Let’s never forget that these years are fleeting. When we are old and wrinkly we will be looking back onto these days and remember them as the best times of our lives. We deserve more than to walk around like zombies, dragging our butts out of bed and searching for the first hit of caffeine. Our children deserve more. Sleep training your child requires hard work, patience and consistency. It will always be worth the effort to give your child the gift of healthy sleep. There is nothing more empowering as a parent then taking control your family’s well being. Say goodbye to sleepless nights, bedtime fights, and endless routines. You will gain much needed time for yourself. Your children will wake up happy and smiling in their own beds, and you will enjoy more quality time alone with your spouse. Have you ever laughed at the term “sleep like a baby?” I think the author was misquoted. I truly believe the saying is “sleep like a sleep trained baby”. My daughter has done a great job sleep training my grandson from the start. For the most part he goes to sleep on his own and sleeps all night. I’m the one that really needed a sleep consultant when my kids were babies. I used to fantasize about getting an uninterrupted night of sleep. I am so thankful that my third baby likes to sleep at night, He only get up once to nurse. The 4 month sleep regression hit us hard, so we ended up hiring a sleep coach and it was the best thing we ever did!